Amherst, MA – September - 2014 - Levellers Press, a worker co-operative, announced the publication of Building Co-operative Power! Stories and Strategies from Worker Co-Operatives in the Connecticut River Valley. Building Co-operative Power (BCP) introduces the history and concept of worker co-operation and relates past and present stories of worker co-operatives in the Connecticut River Valley. It is grounded in 50 field interviews with former and current worker co-operators and the regional development model of the Valley Alliance of Worker Co-operatives (VAWC). This book is a guide and inspiration for building worker co-operatives as well as co-operative economic development through inter-cooperation in any region in this country. You can see the Table of Contents and read the Introduction on the book’s web page. At this time you can purchase BCP from the Levellers Press here. Soon it will be on Amazon, and later will go into large scale distribution. Building Co-operative Power does two specific things. First, it gives a sense, a feel, even a taste of what it is like to be part of worker co-operative. Second, after describing and exploring the consequences of the cultural invisibility for cooperatives and alternative political economic projects generally, it lays out the coherent strategy the Valley Alliance of Worker Co-operatives (VAWC) is using to address this major obstacle. In short, VAWC’s strategy involves worker co-op led development and regional co-operative economic development through inter-cooperation of all cooperatives in the area. Parts I and II focus on the realities of worker co-ops. Part I has three chapters that draw the voices of 50 former and current worker-owners into a narrative showing the everyday and long term realities of being in a worker co-operative and running a business with no employer/employee dynamic. The opportunities for fulfilling productivity and the challenges of relating cooperatively are explored, such as co-op governance, management, communication, conflict resolution, the painful process of firing, and more. Tales of personal transformation run throughout all of the narrative. Part II continues this focus on showing what life in worker co-ops is like. It presents the profiles of 11 worker co-ops, both former and current ones, from Western Massachusetts and Southern Vermont. These stories include both inspirational and cautionary tales for start-ups and conversions. 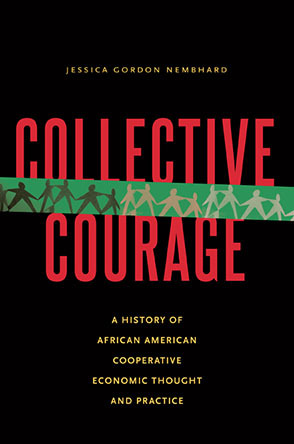 Each story gives a strong sense of the unique history and character of each one of these worker co-ops. This section also shows how worker co-operatives occupy a business place in a very wide range of industries: printing, solar installation, bicycle transportation services, website hosting, weaving, perfumes, local and organic food distribution, education for change services, holistic health, and cotton diaper services. Building Co-operative Power addresses the obstacles and opportunities for building a co-operative economy throughout a region, and making worker co-operatives an increasingly important part of the U.S. economy. In the first chapter of the Part II Building Co-operative Power explores the significance of “co-operative difference” and how it manifests in practice. The following chapter explores the “cultural invisibility” of all co-operatives and virtually all alternative political economic projects in this country. It shows how such a powerful political and economic business model can be virtually unseen or very misunderstood by the public in general, policy makers, economists, business schools, and even the millions of members of co-operatives. widespread public policy ignorance and neglect. The final two chapters of the book focus on how VAWC’s history and its strategies for overcoming the problem of invisibility and its crippling consequences. Theirs is a slow march, but that march is underpinned by a well thought-out strategy for advancing cooperative ideals and values through both the worker co-op sector and regional inter-cooperation among all co-operatives. Their tactics and strategies include joint marketing, public education, developing expertise in governance and management, providing technical support and solidarity for start-ups and conversions as well as using a development fund fed by a small percentage of member co-operatives’ annual surplus. The authors describe VAWC’s “everyday vision:” how someday people in their region will be able to go through a whole day taking care of all their needs and desires through a network of co-operative businesses. In 2011 they took a major step in this direction by forming the Valley Cooperative Business Association with the Neighboring Food Co-operative Association (a network of more than 20 food co-ops), the UMass Five College Credit Union, and Franklin Community Co-op. Addressing the need for special training programs VAWC, in 2009, began working with faculty in the Economics Department at the University of Massachusetts to develop a co-operative curriculum and certificate program. Together they co-founded the University of Massachusetts Co-operative Enterprise Collaborative (UMCEC). UMCEC developed curriculum and internships in the economics of co-operative enterprise as part of a Certificate in Applied Research in Co-operative Enterprise. The sky is the limit, really. Systems are in place that bring co-operatives together among and across sectors. They approach issues that individual co-ops won’t or can’t deal with alone. They’re expanding a major strength of the co-operative model: the ability to marshal scarce resources for the benefit of members and their communities. Readers can access the book’s Introduction on the web site as well as praises for it from John Curl, Gar Alperovitz, J.K. Gibson-Graham, Nancy Folbre, and E. G. Nadeau. Adam Trott is the Staff for the Valley Alliance of Worker Co-operatives, where he supports, develops and educates about and for worker co-operatives. Adam has been a worker/member of Collective Copies since 2004 - a collectively-managed worker co-op and union shop. He serves on the board of the Co-operative Capital Fund, the Valley Co-operative Business Association, the Co-operative Enterprise Collaborative and the United Electrical Workers for Co-operation. Janelle Cornwell, PhD. is a Visiting Assistant Professor at Worcester State University and a member of the Community Economies Collective. She conducted research with worker co-operatives in Western New England during her doctoral studies from 2005 and 2011. Michael Johnson co-founded a large intentional community in New York City in 1980. It has been a site for experiential research in cooperative culture for more than 34 years. In 2007 he began immersing himself in the worker co-op and solidarity economic movements through the Valley Alliance of Worker Co-operatives, the Grassroots Economic Organizing journal, and the SolidarityNYC collective. He blogs and writes at http://geo.coop/blogs/michaeljohnson.